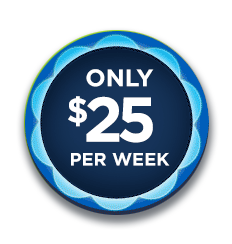 Getting started is easy as 1-2-3…for only $25 a week! 1. Call NOW for your FREE consultation at 714-472-6574. 2. Download, print and complete this form (click here). Bring it with you on your first visit. Welcome - we look forward to helping you reach your goal! Approximately, when was your last visit? How many lbs would you like to lose or, what's your current size and your ideal size? Short description of how you heard about us.